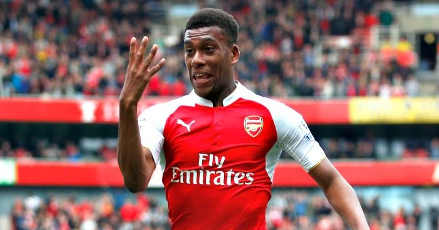 Arsenal manager Arsene Wenger has heaped praise on Nigerian starlet Alex Iwobi after giving two assists at Arsenal's 4-1 win over Hull city at the KCOM Stadium on Saturday. According to the legendary Arsenal manager, Iwobi must remain humble if he's to continue in the good form he's been showing since he broke into the first team last year. "Yes, he had a good performance, and you want him to improve," Wenger told Arsenal website. "He is 20 years old, and I think he has talent, he has ambition, he has a big passion for the game and until now he has humility. We have to take care that he keeps that quality, because it’s an important one. But he has gained confidence and power. I believe as well he has a good combination between quick passing, picking players out and running with the ball. He gets that balance right, until now, and that’s not easy."